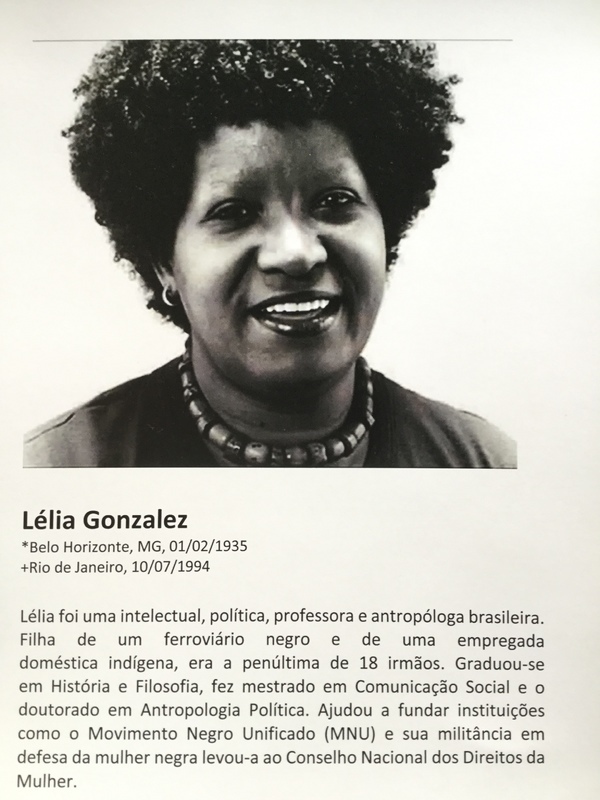 translation: Lélia was a Brazilian intellectual, politician, teacher, and anthropologist. The daughter of a Black railway worker and an Indigenous domestic worker, she was the penultimate of 18 children. She earned a BA in History and Philosophy, an MA in Social Communications, and a PhD in Political Anthropology. She helped found institutions like the Unified Black Movement (MNU) and her militancy in defending Black women took her to the National Council for the Rights of Women.